Ninety-two U.S. banks failed in 2011. This article last updated on December 30, 2011. Evening Standard says Sorry—Sorry for being negative. Sorry for being complacent. Sorry for being predictable. Those are some of the messages Londons Evening Standard is sending to readers via a brand-new advertising campaign designed to highlight the newspapers recent re-launch. New Jersey Nets tie consecutive losses record—With Sunday night's 106-87 loss to the Los Angeles Lakers, the New Jersey Nets tied the NBA record for most consecutive losses to start a season. 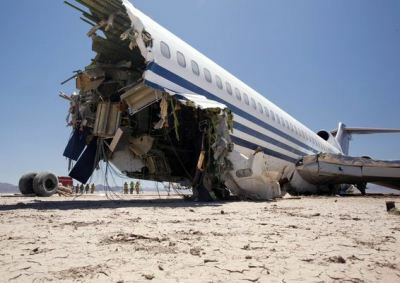 Discovery Channel crashes 727—On April 27, 2012, the Discovery Channel deliberately crashed a Boeing 727 in the Mexican desert for its new series Curiosity.